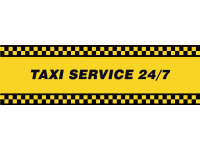 24/7 Clifton Taxis is a well established taxi company that has built up an enviable reputation over the last few years. We pride ourselves on our commitment to provide a professional and speedy service at all times. We also offer airport transfers, seaport drops, and can also offer contract work with local businesses. Call today for more information on our services and prices. Only want your business if they think it's worth it! Several times I've tried this company. The only time they ever 'had a car in the area' was when I wanted to make a £20 journey. When I want to make a £5 journey, they never have anyone local. Despite being a local taxi service. Won't bother with them again! Quick service,driver was very friendly would recommend and use again.